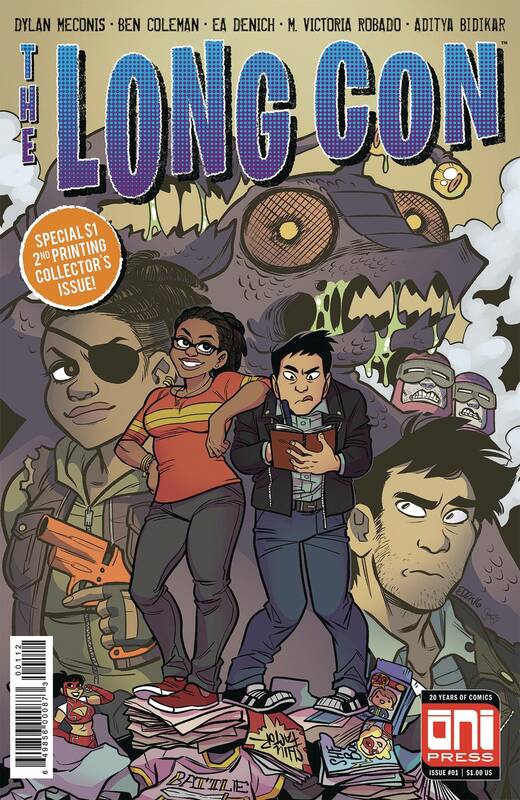 ive years ago, a cataclysmic event obliterated everything within a fifty mile radius of the Los Spinoza Convention Center-including the attendees of Long Con, the world's biggest (and longest) comic convention. But unknown to the outside world, the con-goers not only survived, they kept the convention going. When proof of their survival surfaces, reporter Victor Lai is sent to investigate-after all, he was covering the con that fateful day and escaped mere minutes before everything went kablooie... abandoning his nerdy pal Dez in the process. So clearly he's the perfect person for the job, and he won't get trapped inside like some kinda idiot. Right?